Larry Roberts is sometimes called the "father of the ARPANET." He earned this nickname by directing the team of engineers that created the ARPANET. Roberts was also the principal architect of the ARPANET. Lawrence (Larry) G. Roberts was born in 1937 in Westport, Connecticut, as the son of Elliott and Elizabeth Roberts, who both had earned their doctorates in chemistry. During his youth, he built a Tesla coil, assembled a television, and designed a telephone network built from transistors for his parent's Girl Scout camp. Roberts attended the Massachusetts Institute of Technology (MIT), where he received his bachelor's degree (1959), master's degree (1960), and Ph.D. (1963), all in electrical engineering. 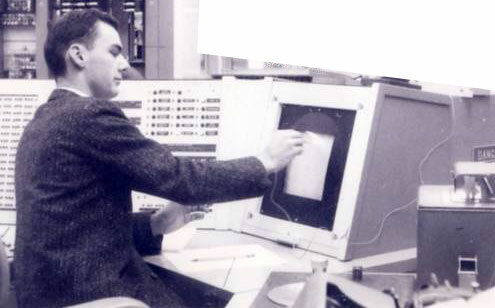 After receiving his PhD in 1963, Roberts continued to work at the MIT Lincoln Laboratory, mainly in the field of computer graphics (see the lower image). Having read the seminal 1961 paper "Intergalactic Computer Network" of Licklider, Roberts started to work also in the field of computer-to-computer networks, that could communicate via data packets. In 1966, Robert Taylor assumed the directorship of ARPA's Information Processing Techniques Office (IPTO), Licklider's old post. He noticed that IPTO research contractors were constantly requesting more computing resources. Most of them wanted their own computers—an expensive luxury. Taylor also noticed that there was a lot of duplication of research. This waste of resources also cost money. Building on the theoretical legacy of Licklider, Taylor decided that ARPA should link the existing computers at ARPA-funded research institutions together. This would allow everybody on the network to share computing resources and results. With the go-ahead to build a network Taylor began looking for someone to manage the project. His first choice was namely the young Larry Roberts. Roberts was a shy man who was well-respected in his field. He was known for his good management skills and dedication to his work. Roberts also had experience with network computing (which was a rare commodity in those days). In 1965, a psychologist named Tom Marill, who had studied under Licklider and been influenced by his interest in computers, approached ARPA and proposed a project to conduct an experiment linking Lincoln Lab's TX-2 computer to the SDC Q-32 computer in Santa Monica. ARPA officials thought it was a good idea, but suggested that Marill carry out his experiment under the sponsorship of the Lincoln Lab, which he did. Officials at the Lincoln Lab put Roberts in charge of the project. The experiment although much smaller in scope than the ARPANET would be was a success. Response times were slow and connection reliability was often poor, but Marill's project provided a solid first step. In 1966 Roberts and Marill publish a paper about their earlier success at connecting over dial-up. In 1966, Taylor managed to persuade Roberts to accept the position of manager and principal architect of the ARPANET, the precursor to the Internet. Roberts designed and managed the building of the APRANET over the next 6 years. In 1967, he attended a meeting for ARPA's Principal Investigators or PIs (scientists heading ARPA-funded research projects). The main topic was the new networking project. Roberts laid out his plans. He wanted to connect all ARPA-sponsored computers directly over dial-up telephone lines. Networking functions would be handled by "host" computers at each site. This idea was not well-received. Researchers did not want to relinquish valuable computing resources to administer this new network and did not see how they would benefit from sharing resources with other researchers. In 1989, Roberts recalled: "Although they knew in the back of their mind that it was a good idea and were supportive on a philosophical front, from a practical point of view, they—Minsk and McCarthy [two prominent computer scientists], and everybody with their own machine-wanted [to continue having] their own machine. It was only a couple of years after they had gotten on [the ARPANET] that they started raving about how they could now share research, and jointly publish papers, and do other things that they could never do before." Many also foresaw problems trying to facilitate communication between machine with many different incompatible operating systems and languages. All in all the reception to Roberts' plans was a cold one. Toward the end of the meeting, a man named Wesley Clark (the creator of the LINC computer) handed Roberts a note that read: You've got the network inside out. After the meeting, Roberts talked with Clark, who suggested that Roberts employ small computers at each site to handle networking functions and leave the host computers alone. All of the small computers could speak the same language which would facilitate communication between them. Each host computer would only have to adapt its language once in communicating with it's small computer counterpart. Each host computer would be connected to the network via its small computer which would act as a sort of gateway. The small computers could also remain under more direct ARPA control than were the large host computers. Roberts adopted Clark's idea. He called the small computers Interface Message Processors (IMPs). Roberts decided that the network should start out with four sites: UCLA, the Stanford Research Institute (SRI), the University of Utah, and UC Santa Barbara. This would be the core and the network could grow from there. (SRI had been chosen as one of the first sites partly because Doug Engelbart was there.) By the middle of 1968, Roberts sent out a request for bids to build the IMPs to 140 companies. In late December, the bidding was over. The best offer came from Bolt, Beranek and Newman (BBN), where used to work Licklider. Packet switching proved very controversial to communications people. Conventional opinion then held that packet switching could never work. Many of the University computer research centers also felt the network would steal their computer power. However, Roberts' team, in conjunction with contractor BBN, which assembled and installed the hardware, proved them both wrong and the network worked with much higher efficiency and utility than either group imagined. In August 1969, BBN delivered the first IMP to UCLA. A month later, the second was delivered to SRI. The two were connected and the ARAPNET was born. By 1973, 23 computers were connected worldwide. At that point Roberts turned the development over to Bob Kahn and Vint Cerf and left ARPA to form the first commercial packet network. After ARPA, Dr. Roberts founded the world's first packet data communications carrier, Telenet - the company that developed and drove adoption of the popular X.25 data protocol. 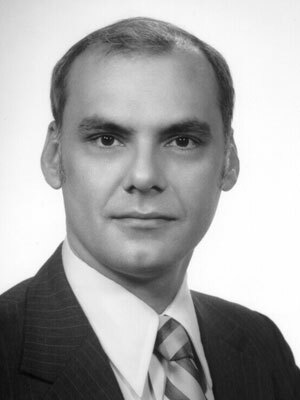 Roberts was CEO from 1973 to 1980. Telenet was sold to GTE in 1979 and subsequently became the data division of Sprint. From 1983 to 1993, Roberts was Chairman and CEO of NetExpress, an electronics company specializing in packetized fax and ATM equipment. Roberts was president of ATM Systems from 1993 to 1998. In 1999 Dr. Roberts undertook to redesign the IP router (not the protocol) to route flows, not just random packets, to support high Quality of Service. (QoS) flows across the IP network. To do this he founded Caspian Networks which built highly capable flow routers that accomplished the goal of ATM quality QoS compatibly over IP networks. These routers were aimed at the network core and started deployment in 2003 for QoS sensitive applications like video conferencing and P2P traffic control. However, this first generation of flow routers was large, expensive, and did not take advantage of many simplifications that were possible. Thus, Dr. Roberts left Caspian in 2004 in order to create a more efficient and economic flow management system. In 2004 Dr. Roberts founded Anagran Inc. Realizing that the output queue design of packet switches and routers was causing major delay, packet loss, and unfairness, and he designed a new concept of flow management where each flow is precisely rate controlled at the input rather than randomly at the output. The flow manager concept only required 20% of the power and size of a L3 router, virtually eliminated queuing delay and packet loss for both file transfers and streaming media, optimized network utilization, and greatly improved fairness. Thus, instead of the prevailing concept that Quality of Service (QoS) would increase the complexity and cost of a network, the QoS could be greatly improved with less complexity while at the same time reducing network cost by eliminating the need for overcapacity. Today, Roberts and Kleinrock, along with Vinton Cerf and Robert Kahn, are widely recognized as the four founding fathers of the Internet. 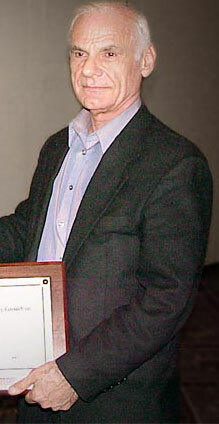 Dr. Roberts has received a number of awards for his work in computer networking. Today he lives in Silicon Valley, California.